What is going on with “martech”? We hear the term “martech” each time for often. If you are a marketer and you have not heard of this word before, you should reconsider your career choice. There are over a thousand companies providing “martech” services, there is a SaaS for every part of the marketing funnel and most importantly, one must get the martech stack right to properly function. “Wow… what does all this mean?” It might sound like I just threw at you every buzzword I could think of, but there is some sense behind it. Bear with me for a minute. The marketing world is changing, raw advertising is dying and building better experiences is the only way to survive. This is exactly what drives the marketing technology (martech) industry. Many of the companies in this industry provide SaaS solutions (short for “Software as a service”), which are basically cloud-based software that you can use to improve you website, services, customer support, etc. Last but not least, we have the martech “stack”, which is nothing more than a combination of tools (mostly composed of the SaaS solutions mentioned above) that can integrate with each other and improve your product or service usability. This stack is essential for: building better user experiences, help companies grow, and generate higher profit margins. “This sounds great! But where do I start?” Well… as usual, it depends. There are many factors that come into play when building a marketing stack: the size of your company, your product portfolio, your budget, your current IT systems, even the technological savviness of your staff. Not all products might fit your organization. Solutions that worked for one company might not work for yours. That is why it is essential for marketers to be well-informed of the latest martech industry trends, and try different tools before making a purchase. 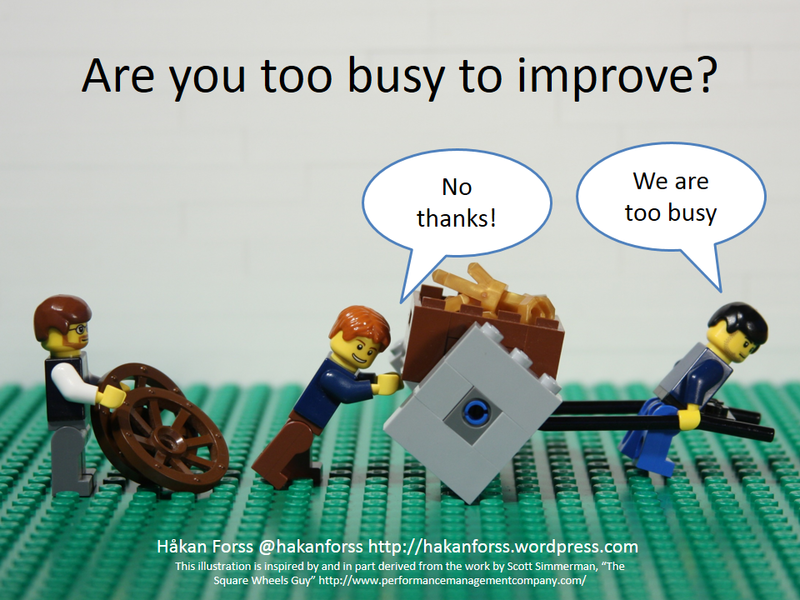 Self improving is key to success! I guess, you get my point. Now… here are some tips to make your immersion in this industry smoother. Start getting the martech news directly to your inbox! 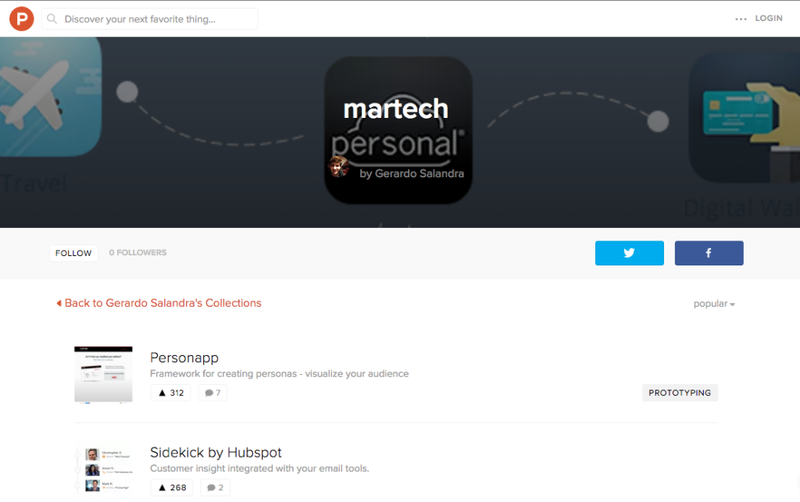 Receive the latest news on martech directly to your inbox. 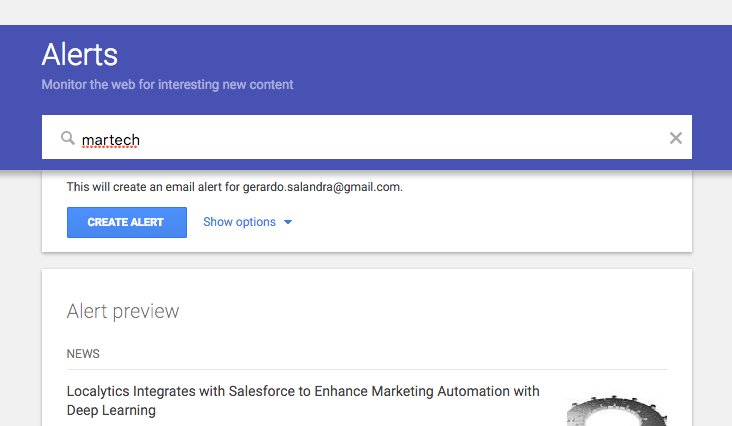 Go to https://www.google.com/alerts, search for “martech” and click on the create alert button. Choose the frequency, language, etc., and you are good to go. My recommendation is to set the frequency for once a week. You don’t have to read the whole email, but skimming through the headlines, and reading one or two articles every now and then, can make a big difference in the long term. This guy is, hands down, the authority in marketing technology trends. 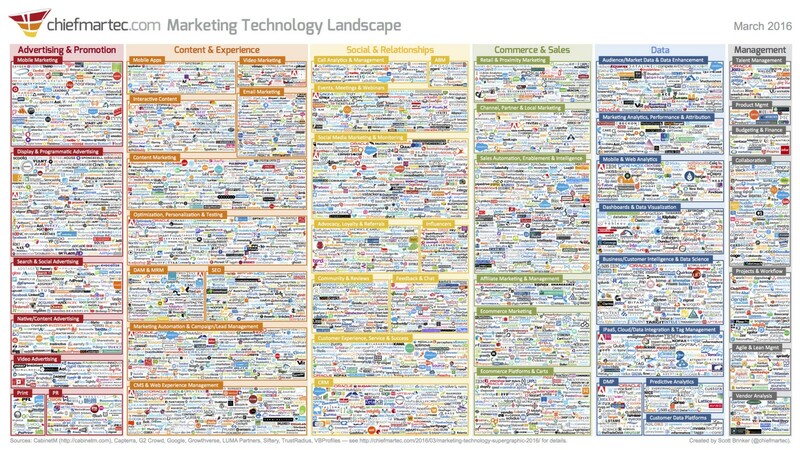 Every year he releases the so-called, “Marketing Technology landscape”, a picture of all the service providers in each of the different sector of the industry. Also, he regularly sends out a newsletter with everything you have to know about the industry. Pay a visit to his website and sign up for his newsletter. Find out more tools here! Whenever you are unsure whether a specific product exists, give product hunt a chance. There are thousands of products you didn’t know that existed being featured on this site. If you don’t have an specific product in mind, you can follow my collection. I will be adding new products for savvy marketers every week. That’s it! Simple right? Now it is up to you, don’t leave your self-improvement for later. Otherwise, others might come and replace you. Long live the martech!